Initiations are as old as the earliest civilizations.The ancient Egyptians learned that the performance of various acts, and the use of certain objects, helped to facilitate instruction, so that mystical ideas were more easily impressed upon the minds of students. Dramas of impressive ceremonies consisting of music, spectacular lighting, processionals, chanting, and colorful ritual robes became an unforgettable experience to each participant. These mystery-dramas were somewhat like the modern passion plays. In ancient times, the word mystery did not have the same connotation that it does now. It did not mean “strange” or “weird.” Rather, it referred to a unique gnosis—that is, knowledge which was to be revealed to the candidate for initiation. In fact, in ancient Rome the mysteries were called initia. The initiates were called mystae. The Latin word initiare meant “to inspire,” and initium meant “beginning” or “training.” Thus, candidates for initiation were introduced to an inspiring knowledge that was to make an emotional or psychic impression upon their consciousness as well as to add to their knowledge. In a dramatic way, the initiation sheds illumination upon certain subjects which otherwise may not be thoroughly understood and appreciated. Further, the mystical aspect of initiation arouses your psychic and emotional response concerning the subjects you are about to study and produces an awareness, a state of consciousness which otherwise could not be achieved. Rosicrucian initiations are rituals designed to mark the milestones of a student’s progress on the mystical path. In these beautiful rituals, mystical laws and principles are demonstrated in a dramatic form, in order to both inform and inspire the Rosicrucian student. exact from you a sacred obligation or promise which you make to yourself that you will try to fulfill your aspirations. Participation in initiation rituals does not, in itself, make you a true initiate, and Rosicrucian students are not required to participate in rituals. You become a Rosicrucian initiate only through your own efforts, merits, and preparation. This means that as you progress along the Rosicrucian path; it is through your personal work that you will advance; and everything that you can become, you will become through your own patience and perseverance. Even in antiquity when seekers traveled thousands of miles to reach ancient temples so as to be initiated and receive instructions from the Masters, they understood that true initiation—meaning illumination of consciousness—would come only when they were prepared or ready on the inner plane, whether or not they were in a temple or proceeding through a ceremony or ritual at that particular time. What was true centuries ago is still true today. However, it is possible to accelerate this inner preparation, and this is the purpose of Rosicrucian initiations. As a student of the Rosicrucian Order, you have the option and privilege of attending local groups in your area. Here you can enjoy the company of other Rosicrucians, hear inspiring lectures, engage in mystical experiments with other students, and participate in beautiful ceremonies and stimulating discussions. In addition, you will have the opportunity to attend a variety of special events, seminars, and conventions. No Rosicrucian member is obligated to associate with a local Rosicrucian group, but it is highly recommended. This is a special privilege offered to you, and provides a unique opportunity to enrich your membership experience. Rosicrucians also have an Online Community where members share what is happening in their local groups, meet other members, and stay connected. The official magazine of the Rosicrucian Order. The Digest, published bi-annually, contains fascinating and informative articles related to mysticism, philosophy, the sciences, and the arts and is of particular interest to Rosicrucians and their friends. The Forum supplements the Rosicrucian teachings, contains in-depth articles on aspects of the Rosicrucian studies, and answers questions from Rosicrucian students. It is a private publication for Rosicrucian students only. The Rose+Croix Journal is an international, peer-reviewed online Rosicrucian journal that is interdisciplinary and trans­disciplinary in approach. The journal focuses on topics that are related to the sciences, history, the arts, mysticism, and spirituality—especially interdisciplinary and transdisciplinary inquiries that traverse and lie beyond the limits of different fields of study. 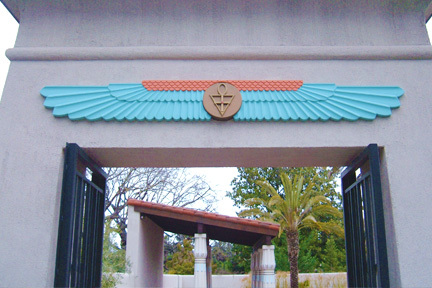 The headquarters of the Rosicrucian Order, AMORC, is beautiful Rosicrucian Park in San Jose, California. Fountains, exotic plants and trees, statuary and Egyptian-style buildings add to the special ambience of Rosicrucian Park. 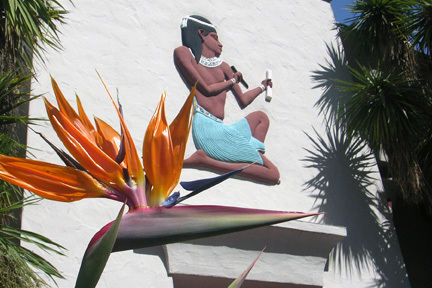 In addition to our administrative offices, Rosicrucian Park also houses the Rosicrucian Research Library, the Rosicrucian Egyptian Museum and Planetarium, the Rosicrucian Peace Garden, and our Egyptian-style Grand Temple. 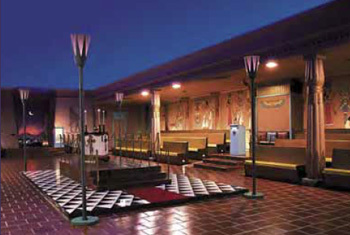 Rosicrucian members may attend convocations and other activities in the Grand Temple, including sessions of the Council of Solace healing meditation. Guests are welcome to stroll through the Park grounds and take in the special atmosphere. 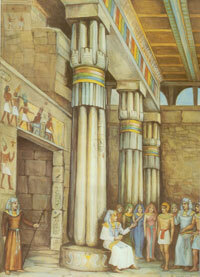 The museum offers an exciting chance to travel back in time and discover the mysteries of ancient Egypt. The Rosicrucian Order has the largest collection of ancient Egyptian artifacts on display in Western North America. 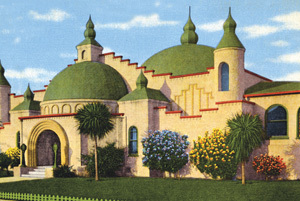 The museum, which is one of the largest tourist attractions in San Jose, California, allows guests to see the fascinating objects and ritual items the ancient Egyptians used in everyday life, while at the planetarium visitors learn about various ancient civilizations’ knowledge of the solar system. Rosicrucian members, along with one guest, receive free admission to the museum. The planetarium is complimentary to all. The Rosicrucian Peace Garden is an educational garden dedicated to the Rosicrucian ideals of peace and tolerance. Based on examples of gardens from the city of Akhetaton (now called Amarna), the garden contains plants and architecture authentic to the Eighteenth Dynasty of ancient Egypt, including medicinal plants, beautiful flowers, a reflection pond for relaxation and contemplation, a small outdoor temple, and a grape arbor. The Research Library contains a remarkable collection of books and other research materials on most esoteric subjects, as well as cultural, scientific, and other fascinating material. Rosicrucian members living in or visiting the San Jose area are encouraged to visit the library. We also offer a special program of library membership to visiting scholars, researchers, and the general public.